The classic: Master notebook. Larger than A4, it can hold loose sheets between the pages and in the expandable pocket without the edges protruding. 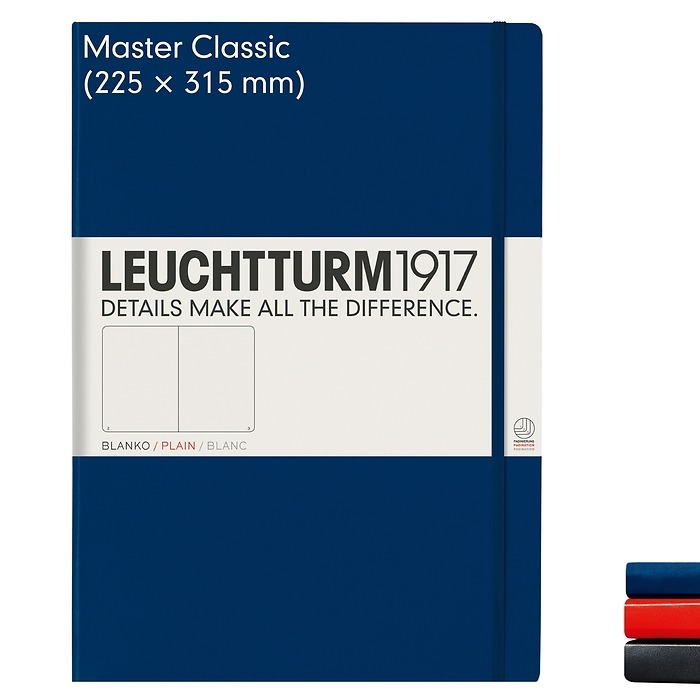 The Master Classic notebook has 233 non-bleeding, acid-free 100 g/m2 pages. This means that our Master Classic notebook is an indispensable treasure for all notebook-lovers. Choose between red and black covers and our 4 rulings (ruled, squared, dotted or plain).